The 9/11 health-care-for-aid-workers debate rages on. Â According toÂ NBC New York and The Associated Press, supporters of a bill that would offer health care aid to workers who came down with various illnesses after working in the wreckage of the World Trade Center are hoping to garner support by displaying the badges of 29 members of the NYPD who were immersed in rescue efforts and later died from 9/11-related sickness. The badges were put on exhibit on Capitol Hill in Washington, DC on Monday. The bill would provide free health care and compensation for 9/11 rescue and recovery workers, who inhaled hazardous materials after the Twin Towers fell; workers subsequently suffered from ailments like asthma, sinuses and reduced lung capacity. The bill passed the House during Congressâ€™ lame duck session, yet a cloud of scientific doubt hangs over the bill, though. Doctors arenâ€™t sure how many people are sick or how many of these illnesses are actually linked to the dust from Ground Zero. Case in point: 34-year-old police detective James Zadroga, for whom the legislation is named. Some say he died from respiratory disease, which he contracted from working at Ground Zero; the NYC medical examiner posed a different theory, saying that Zadrogaâ€™s lung issues were the result of his abuse of prescription drugs. Additionally, some Republicans oppose the bill, which would cost $7.4 billion over 10 years, deeming it a move that would increase taxes and eliminate jobs. What is your opinion of this bill? 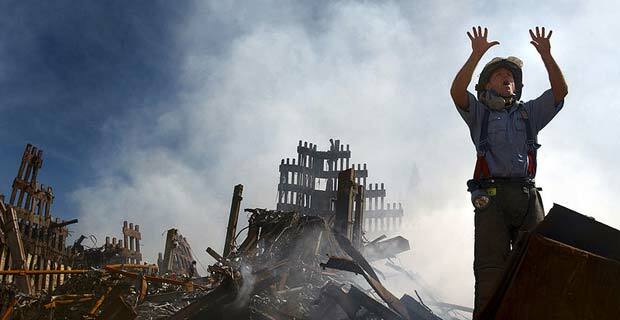 Is it unfair to deny 9/11 rescue workers aid after they risked their lives to try and save others?